Jenny Packham presented her brand's latest collection at London Bridal Fashion Week – a return home for the heritage brand's impressive 30th anniversary. Bridal and couture fashion designer Ziad Nakad went all out with a stunning display called "Demeter" at Paris Fashion Week. 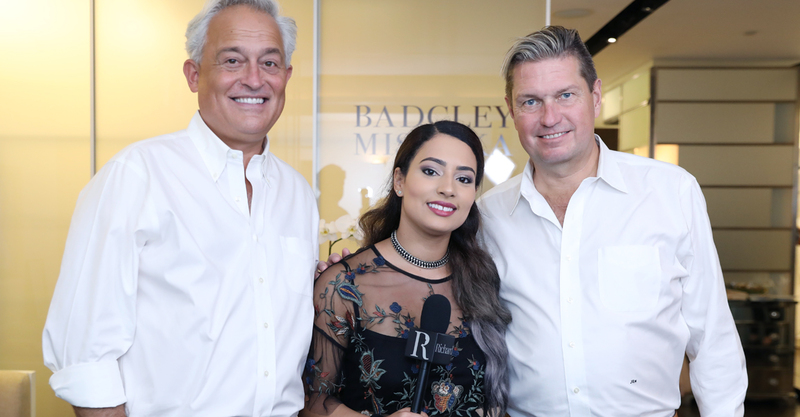 Richard Magazine interviewed bridal designers Mark Badgley and James Mischka of Badgley Mischka at New York Bridal Fashion Week. We talked all about the stunning designs from their 2018 Spring Bridal Collection. A Gucci Mane wedding is an extravagant affair. The rapper and Keyshia Ka'oir tied the knot yesterday on October 17th. All the way from Tel Aviv, Julie Vino Bridal is set to present their Havana Collection during New York Bridal Fashion Week at 12 pm. The Bridal Week collection by Mark Zunino is the flawless solution for the fashion forward bride craving a touch of old Hollywood glamour. Richard Magazine is excited to interview Barbados-born designer, Jaye Applewaite, at The Knot Couture Show in New York City. Richard Magazine will exclusively cover Morilee designs by Madeline Gardner at Bridal Fashion Week on Sunday, October 8th.